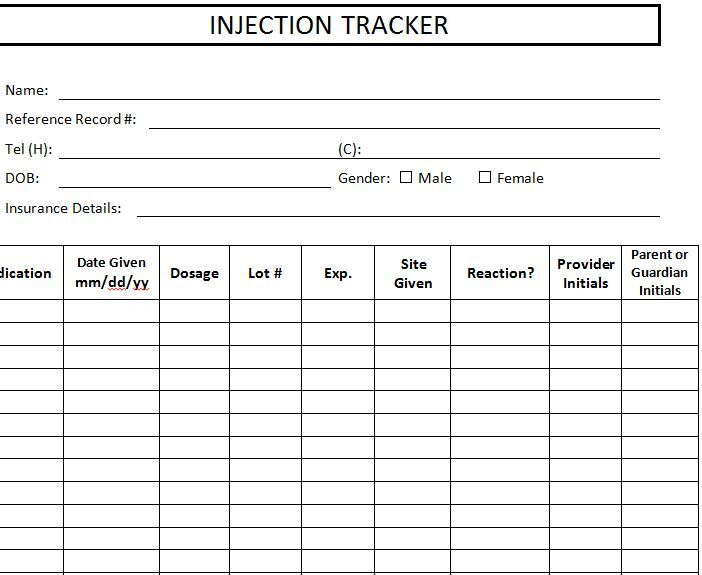 The free Injection Tracker Template is the best way to help you track injections for vaccines or regular use, such as diabetic shots. This free template can also be used to schedule regular shots as well. You will receive a simple and straightforward template. That can help you organize all this information on one page. The template is also structured in such a way that you can easily customize it to suit your needs. 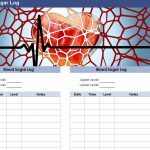 You can make it for patients or as a template to use as a doctor with your own practice and operation. 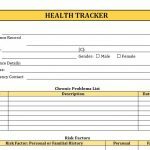 This document just makes it simple to track important health information and reuse year after year, if you’re ready to get started, simply download this free document and read the guide below to learn how to use it! 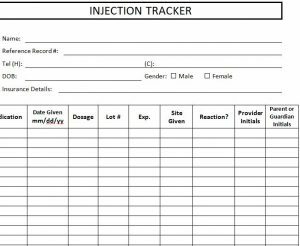 To download your free Injection Tracker Template, just follow the link at the bottom of this page. Now, start at the top of the page and enter the information that is listed in the blank space to the right of each item. You will list your name, the reference record, and contact information, date of birth, gender, and insurance details of note. The main table of the template is where you will enter all your information for each vaccination or shot. Let’s follow an example so you know how to use the template yourself. Let’s say that you just took a shot for your diabetes. 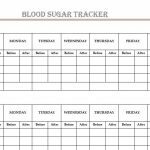 You would enter the medication you used, the date, dosage, lot #, expiration date, the area administered, reaction, and then initial. There are also sections to initial if the shot is for a child under your care. If you want to make any additional notes, such as having a bad reaction one time of the course of the week, you can write that in the comments section at the very bottom of your template.